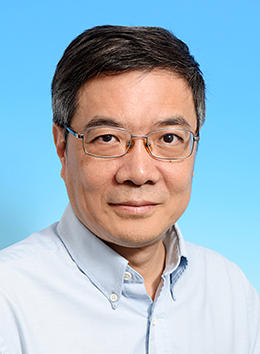 Prof. Wang received his BSc Degree in mathematics from Peking University in 1984 and his PhD Degree in mathematics from Courant Institute (NYU) in 1990. He was a postdoctoral at MSRI in Berkeley, University of Colorado in Boulder, and a visiting scholar at Princeton University before he came to HKUST. Author(s): Wang, Xiao Ping; Wang, Ke; Weinan, E.W. Source: Bol. Soc. Esp. Mat. Apl.;. , 34, (2006) 217-221. Author(s): Wang, Xiao Ping; Garcia-Cervera, Carlos; Weinan, E.W. Author(s): Wang, Xiao Ping; Ablowitz, Mark; Segur, H.